The leader of Italy’s far-right Northern League on Tuesday (23 January) called the euro “a failed experiment” and presented outspoken anti-euro economists among his election candidates, widening divisions with his ally Silvio Berlusconi. Four-time Prime Minister Berlusconi is presenting himself as a moderate, pro-European figure ahead of the 4 March vote, and on Monday he met EU leaders in Brussels where he promised Italy would keep its budget deficit inside EU limits. “My old friend Jean-Claude Juncker, like me, has a good relationship with Vladimir Putin”. The two parties signed a joint programme last week pledging an “end to austerity” and promising a “revision of EU treaties” but making no reference to leaving the euro. Salvini also took issue with Berlusconi’s pledge to hold the deficit below 3% of national output. “If that 3% damages Italian families, as far as we are concerned it doesn’t exist,” he said. 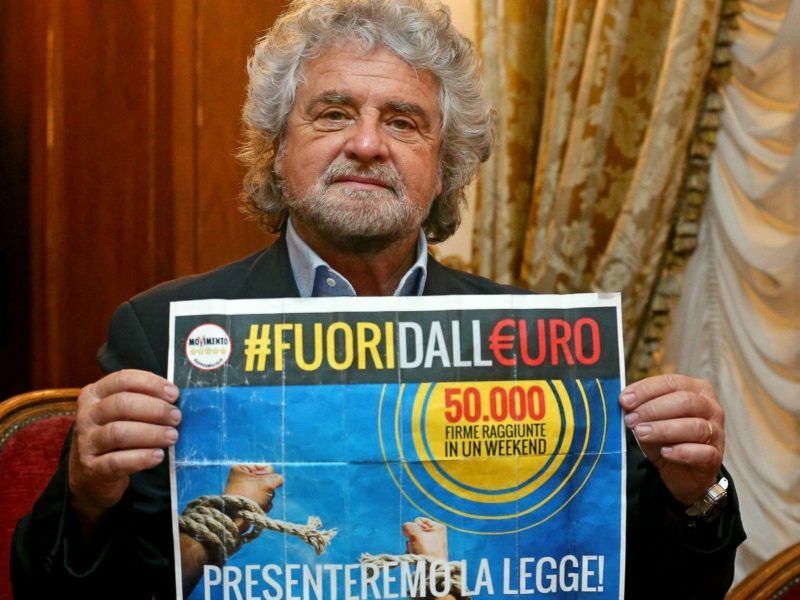 Salvini was presenting the election candidacies of Claudio Borghi and Alberto Bagnai, two of Italy’s most eurosceptic economists, who both advocate an end to budget restraint and a break-up of the currency bloc. Presenting his party as the only alternative for voters fed up with the euro, Salvini attacked the anti-establishment 5-Star Movement, which has backtracked on a plan for a referendum on the euro, for “changing its position 360 degrees”. Italy’s central bank warned today (31 May) that leaving the eurozone would not solve the country’s economic problems, as two major parties campaign to drop the common currency before an election that may come as soon as this autumn. Borghi, who is the League’s economic spokesman but does not yet sit in parliament, has drawn up a plan to issue small denomination, interest-free bonds to firms and individuals owed money by the state as payment for services or as tax rebates. 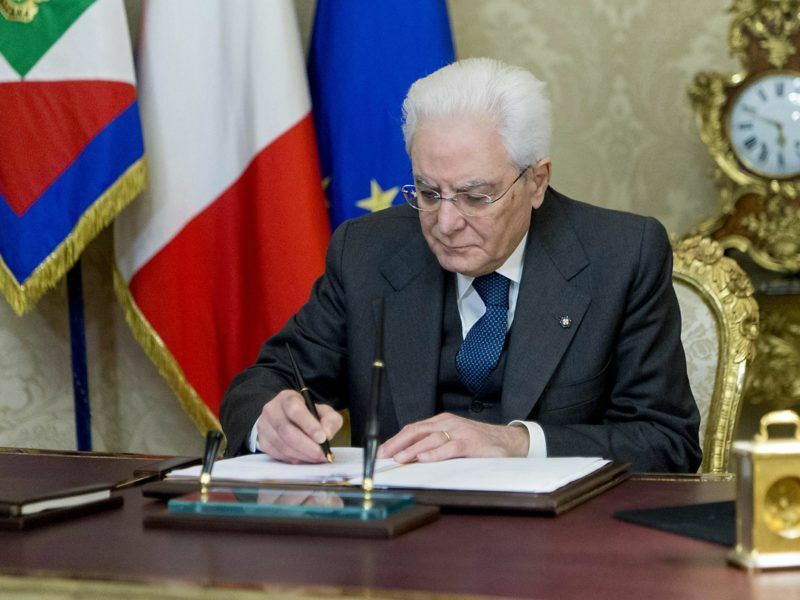 He has said he sees the scheme, which was adopted as part of the centre-right’s election programme, as a form of parallel currency which will prepare Italy for an eventual euro exit. Borghi will compete in the Tuscan city of Siena against the current Economy Minister Pier Carlo Padoan, an orthodox, pro-euro economist running for the ruling Democratic Party. The uneasy conservative alliance, which also includes the extreme-right Brothers of Italy, is polling at around 37%, meaning it would win most seats in parliament but probably be unable to form a government. Berlusconi and Salvini have agreed that whichever party gets most votes will pick the bloc’s candidate for prime minister. Forza Italia is polling about four points ahead of the League, but Berlusconi cannot run himself because of a 2013 tax fraud conviction. 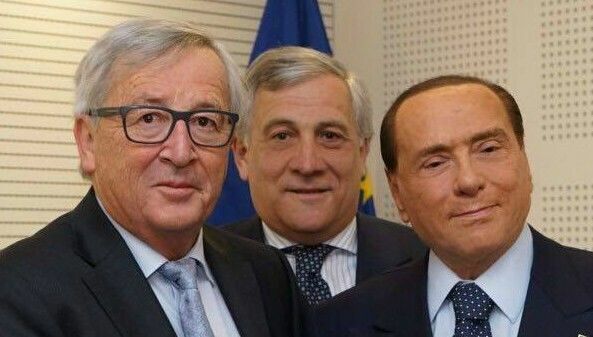 Tajani could be Berlusconi candidate as prime minister…..